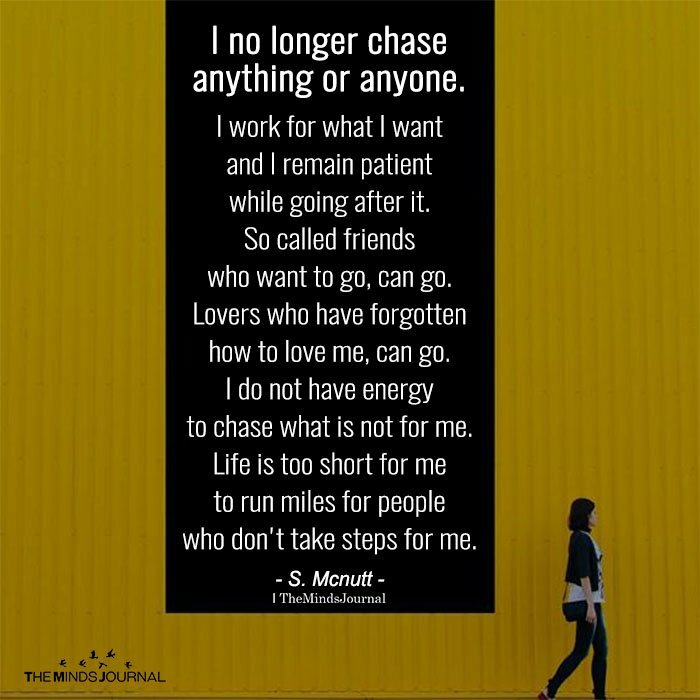 I no longer chase anything or anyone. I work for what I want and I remain patient while going after it. So-called friends who want to go can go. Lovers who have forgotten how to love me can go. I do not have the energy to chase what is not for me. Life is too short for me to run miles for people who don’t take steps for me.